It is easy to understand why politicians and scholars would initially focus on civil–military relations from a single perspective, as exclusively democratic control of armed forces, if we recall the classic dilemma captured in the phrase: “Who guards the guardians?” Any armed force strong enough to defend a country is also strong enough to take over a government; that is, to stage a coup. This is the assumption behind most analyses of civil–military relations, which not only leads into military governments, but also out of them. The issue is all the more important in those states, which includes Brazil, where the military served as the government between the years of 1964 and 1985. However, control alone is not sufficient to begin to describe and analyze contemporary civil–military relations. For this reason, the authors have formulated a framework that includes not only control, but also effectiveness and efficiency. This framework has been put forth in five refereed publications, in which it has been applied to the United States and four South American countries, utilized by Chilean scholars in the analysis of civil– military relations in Chile (Flisfisch and Robledo 2012), and even figures in President-elect Michelle Bachelet’s Programa de Gobierno, 2014–2018, Chile de todos (Bachelet 2013: 151). The years that followed the 21-year period of military control over Brazil were marked by severe political and economic difficulties. In the political realm, former President Fernando Collor’s impeachment and corruption-related scandals distressed the emergent Brazilian democracy, while economic difficulties were mainly related to the necessity to curb inflation, to establish the basis for long-term stability and growth, and to reduce Brazil's extreme socioeconomic inequalities. At the same time, the Brazilian foreign policy adopted a more globalist-oriented view of world politics, which drifted away the realist military influence over the country’s international affairs. According to Cervo and Bueno (2002:469), “by separating the two strategic fields [the doctrine of security that guided foreign policy during the military regime and the defense policy], (…) [Brazil] distanced itself from realism and embarked in utopia.” In other words, the country's foreign policy underplayed force as a means of action in international relations in favor of persuasion and soft power. It is therefore not astonishing to notice that substantial military reforms have been postponed for almost a decade after liberalization. (Vizentini, 2005). The first National Policy of Defense (NPD) or Estratégia Nacional de Defesa (END) was published in 1996 during former President Fernando Henrique Cardoso’s term. The NPD made public the country's security priorities for the first time in history, and thus represented a major milestone for the formulation of a national defense agenda. It was built around two central pillars: active diplomacy (peaceful resolution of conflicts) and conventional deterrence. The document was designed in order to guarantee the country’s sovereignty and the safety of national wealth; to guarantee respect for the rule of law and democratic institutions; to maintain the national unity; to protect citizen rights and the Brazilian interests abroad; to provide the country with a more significant role in international affairs; and to contribute to the maintenance of international peace and security. (Brazil, 1996; Oliveira, 2005; Costa, 2006). The NPD also determined the establishment of an autonomous Ministry of Defense (MD) run by civilian administration to subordinate all three branches of the armed forces (the Air Force, the Navy, and the Army), which happened three years after the document was released, in 1999. The creation of the MD meant an important step towards the consolidation of democracy in the country, as it allowed increased civilian control over the military, a tendency that has been widespread all over Latin America since the late 1980s.8 Once implemented, the Ministry allowed the development of a more cohesive discourse for the drafting of the second NPD, and represented a breakthrough in terms of institutionalization in the field of defense in Brazil. (Fuccille, 2006; Pagliari, 2009). The MOD was established fourteen years after Brazil’s democratic transition, with the passage of Complementary Law 97 on 9 June 1999. Between its creation in 1999 and the appointment of Nelson Jobim as minister of defense on 25 July 2007, the MOD was under very weak and erratic leadership, and did not develop as an institution. Since the ouster of Nelson Jobim by President Dilma Rousseff on 4 August 2011, the MOD has been headed by Ambassador Celso Amorim, who was foreign minister during both of the Lula da Silva administrations (2002–2010). Ambassador Amorim is a highly regarded bureaucrat with no back ground in defense or national security. Even under Minister Jobim, however, a civilian cadre of advisors was never established. There is no career track within the MOD, or the required concurso to fill positions, which results in civilians having minimal roles in the MOD. A constant theme in Brazilian Colonel Skora Rosty’s Strategy Research Paper is the lack of prepared civilians to deal with security and defense in Brazil (Skora Rosty 2011: 8, 13, 21). Consequently, while Minister Amorim may be excellent as an individual, cabinet member, and strategic thinker, he is almost alone as a civilian in the Ministry of Defense. However, the lack of civilian expertise is less of an issue for democratic civilian control than for effectiveness, as we will see below, as there is a national security council-like institution, the Gabinete de Segurança Institucional (GSI) Secretariat for Institutional Security. This is an institutional mechanism whereby the democratically elected president exercises control over the security sector, including the armed forces (see Bruneau, Matei, and Sakoda 2009). There is also a series of other oversight institutions whereby the democratically elected executive and legislative bodies can enforce accountability, including the defense or security sector. Probably the most important of these is the Ministério Público (MP) or Federal Public Ministry. In line with Strachan’s quote regarding the iterative process between the civilian decision-makers and the armed forces, and based on comparative studies, we believe that there is a need for an institutional basis for bringing the civilians and the leaders of the armed forces together. 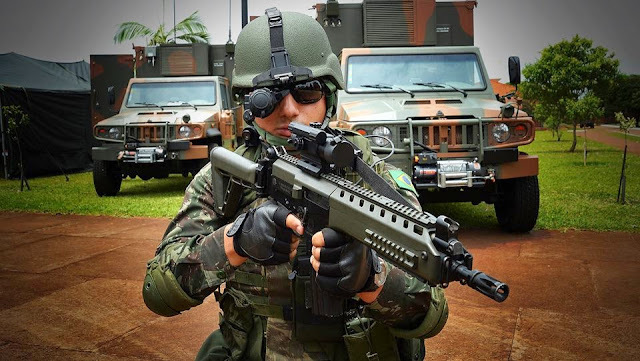 While the MOD, as discussed above, formally links the executive (the civilian president in the case of Brazil) to the armed forces, we find that increasing numbers of countries have found it necessary to create, or recreate, joint staffs to bring the civilian-led MOD into structured contact with the armed forces. Portugal, for example, created a joint staff in 2009 (Bruneau and Matei 2013: 277–282). In 2010, Brazil established a joint operational military structure as part of a more general reform of national security and defense institutions. The Lei Complementar 136 of 25 August 2010 specified the roles of the MOD and created the Estado-Maior Conjunto das Forças Armadas (EMCFA, The Armed Forces Joint Command). The minister of defense at the time, Nelson Jobim, proposed a set of four laws, passed by the Congress, that provided for an overall updating of roles, missions, and structures. A pending question now is whether the joint structure will work since Minister Jobim has departed and the officers at the top levels of the three services are four-star, and their positions mirrors to some degree the continuing structure of the services. From our most recent information, development of the EMCFA is definitely a work in progress. Personnel welfare spending consumes a large share of the Brazilian defense budget: fully 73.2% in 2013, when counting wages, salaries, pensions and social security payments. This rate is unlikely to change significantly over the coming five years. Brazil has historically provided generous benefits to both its serving personnel and their families. Brazil’s high level of personnel costs in the defense budget leaves policymakers with little room to maneuver in terms of non-personnel costs, including procurement. Plans for the Brazilian Navy to purchase new ships, an item highlighted in the 2008 END, were put on hold in 2011. The much-heralded nuclear submarine project was first discussed as early as 1989 (Defense & Foreign Affairs Weekly 1989). As Jane’s states, defense was one of the hardest-hit ministries in the 2011 USD 30 billion budget cut, which affected procurement significantly. In 2011, procurement was to receive about 11.7 percent of the defense budget, down from the 13.2 percent in 2010. About 30 percent of the procurement funds were frozen due to the budget cut. There is wide awareness in the Brazilian Navy that it lacks the assets to be able to implement the missions defined in the END, including the so-called Blue Amazon (José Augusto Abreu de Moura 2013: 56). The continuing budget limits on procurements is not lost on the Federation of Industries of São Paulo (Federação das Indústrias do Estado do São Paulo, FIESP) which publishes a Panorama Defesa Comercial and laments the lack of opportunity for Brazilian industries to do more in defense due to a shortage of funds (FIESP 2014). When we look at the main focus of the Brazilian Navy in the recent years is to protect country’s maritime resources. The area known as “Blue Amazon” holds a large piece of our GDP and the source of income of thousands of Brazilians. Within the approximately 1.54 square mile region there are oil reserves estimated around 15 billion barrels. By 2020, these reserves will be worth about 7 trillion dollars according to official data. Last year, the Union Finance Court (TCU) analyzed the Navy’s submarine development program (PROSUB). 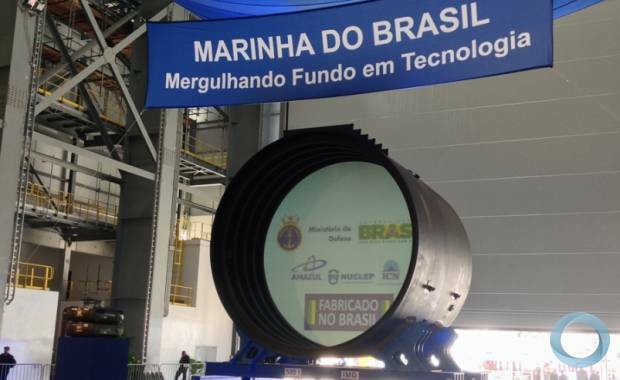 The project aims to build conventional submarines at a R$10,5 billion cost, plus a nuclear unit (another R$8,9 billion) as well as a naval base and a shipyard to build and maintain said submarines (R$ 7,8 billion). The deadline to deliver all these assets is 2025. The TCU acknowledges the fact that Brazil doesn’t have industrial know-how to take on these programs. Without considering these circumstances, there’s no way for the nation to acquire the advanced technology it needs from foreign partners. The Brazilian Army went through a transformation as well. In order to adapt its capabilities to the age of knowledge, it also chose its top seven strategic projects: borders surveillance (SISFRON), strategic ground structures protection (PROTEGER), developing a new line of armoured vehicles (GUARANI), anti-aircraft defense systems, currently outdated, the Astros 2020 project for deterrence, cyber defense and also recovering operational capabilities (RECOP). The SISFRON program is expected to be completed by 2025, at an overall cost of 12 billion RL Many criminal activities happen at Brazilian borders, such as drugs and arms traffic. According to 2010 data, the amount of taxpayer's money spent to contain violence all over the country was around R$180 billion, of which R$40 billion were investing on fighting drug traffic. If the government doesn't treat crime prevention (border surveillance included) as a priority, it’s bound to spend a lot more to mend the damage caused by crime and violence. In August 2015, the crucial decision was made by the Brazilian Air Force (FAB) regarding the purchase of latest fighter jets and military equipment from the Swedish company SAAB Gripen NG, which is eventually based upon various combination of factors and unit price is one of the primary one after multiple back and forth. 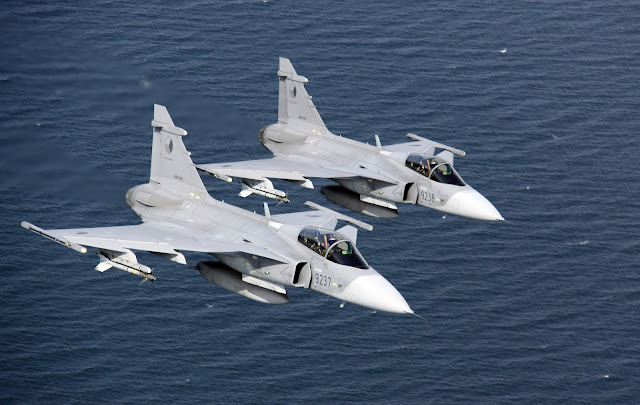 Prior to Gripen Deal, in May 2015, Brazil announced their defence procurement budget which was reduced from a previously approved R$22.6 billion (USD7.3 billion) to R$17 billion, potentially leading to some programme delays or indefinite suspensions. The 25% reduction is due to the country's current fiscal difficulties and is meant to contribute to economic stability, the Ministry of Defence (MoD) said later. Brazil's foreign deployments will also be reduced, with the current number of troops deployed to the United Nation's Stabilization Mission in Haiti (MINUSTAH) to be cut from 1,343 in May to 970 in June and down to 850 by 2016.Wagner also announced that the armed forces would require R$200 million in 2015 and another R$106 million in 2016 for providing protection during the 2016 Summer Olympics. Overall defence spending to support the Olympics will run up to R$580 million, according to Wagner, with the balance already spent in previous years. Some 37,000 troops will be deployed in six cities to provide security for the games. In conclusion, the argument is that Brazil is a fully-consolidated democracy, with a high level of democratic civilian control over the armed forces which has been systematically developed since 1984 . That control is exercised by a wide variety of institutions, the most important of which are not specifically designed for this purpose, but are part of a vast array of institutions that exercise oversight and accountability over public bureaucracies. Civilian control of the military and other security institutions such as Agência Brasileira de Inteligência (ABIN) are part of the ample set of institutions, whereby democratically elected civilians control all sectors of the State in Brazil. But according to Cosme Degenar Drumond, Special Correspondent Defensa.net - "Proper defense is not cheap. And we’re still missing an essential part of the process: technological independence. Without it, the circle won’t close. The problem is our economic prognostics are not good at the moment. Some companies are drawing back from defense. 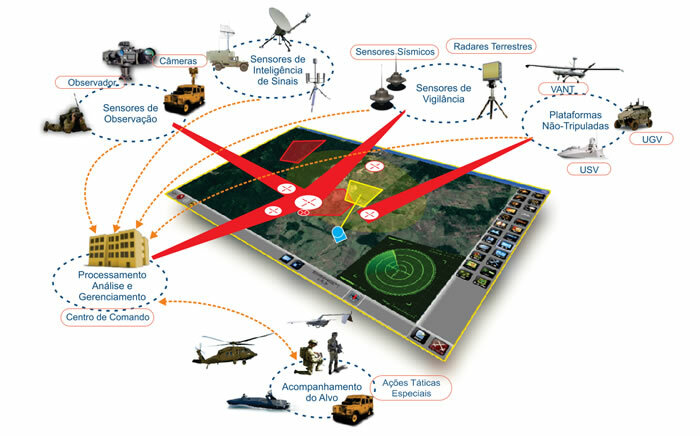 The Defense and Security Industry Brazilian Association (ABIMDE) considers it hard to analyze or predict anything right now." When government resources finally reach the industry chain, they are late. Sometimes the money passes year by year as “payments left”. Equipments must be renewed on schedule. Budget management must consider things such as stability, constancy and foresee ability, as stated in Brazil’s National Defense White Book. Recognizing such fact requires in-house insight and attention to identify these institutions and their roles. 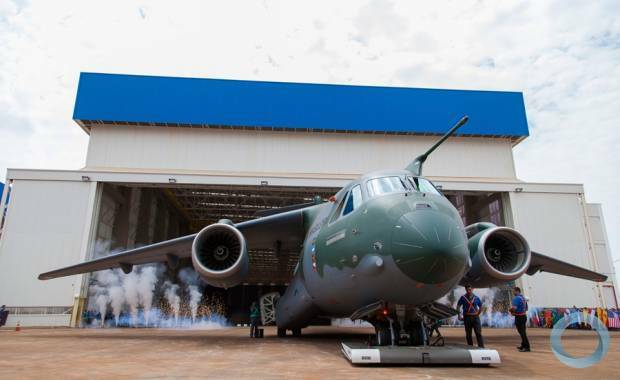 Separately, and given the absence of a credible civilian presence in the MOD, the role of the Ministério Público in exercising oversight over the defense sector in terms of activities like budgeting and procurement are crucial to exert control. The lack of civilian expertise is important in the dimension of effectiveness as there are few civilians in the bureaucracy who know enough to be able to formulate strategies and interact credibly with the EMCFA. It is ironic that while there is a dearth of competent civilians in the MOD due to the absence of a career path and the required concurso, a cadre of civilians interested in defense topics is emerging in academia and other sectors. In the bureaucratic realm, there is a substantial lag in the specialization of civilians in defense, especially compared with the level of specialization seen in other arenas such as economics, finance, trade, and social welfare. Also, the relatively few resources that are invested in the defense sector are primarily directed to military personnel themselves. The military are both under democratic control and relatively well cared for in terms of salaries and benefits.